Mullein leaf herb is, as the name suggests, a type of herb. More interestingly, this is a herb that has numerous medicinal properties and that has been used in traditional medicine for a very long time. It is still very popular today, as with many such natural remedies. The question is whether it deserves that popularity and whether it really does what it is purported to. As ever, the claims bear further scrutiny before any recommendations can be made. Also known as ‘Aaron’s rod’ and ‘Adam’s flannel’, mullein leaf herb is an expectorant. That means it can treat respiratory congestion by encouraging the secretion of mucus. This in itself is something that isn’t really up for debate as it’s pretty easy to see it working. In addition to this principle use however, mullein leaf herb is also thought to present anti-bacterial properties to make it effective for treating infections. Some reports suggest it may be useful for encouraging sleep, relieving migraine pain, encouraging thyroid health and more serious conditions such as TB and pneumoniae (1). It is also anti-spasmodic and useful for arthritis and numerous skin conditions. Studies have also suggested it may have some use treating herpes. 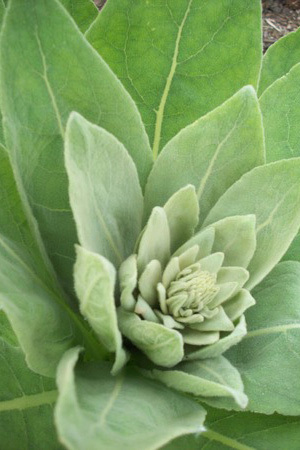 In other words, we are told that mullein can treat just about anything! Using mullein weed as an expectorant is certainly effective for treating colds, blocked noses and general ‘sniffles’. This is similar to using products like Vicks VapoRub and can provide temporary relief by breaking up mucus in order to help expel it. One of the problems however is with the direction often advised for using mullein. It’s common to hear people recommend using it on a regular basis in order to help ‘detox’ the body and even to ‘alkalize’ the body. Both these concepts are entirely lacking in any evidence and are unlikely to offer any real health benefits. Also troubling is a relative lack of evidence to support the myriad other claims surrounding mullein weed. The referenced report for instance does not actually include any controlled laboratory study but rather an overview of the composition of mullein weed. Right now then, there simply is not enough evidence to support the idea that mullein weed might work as anything other than an expectorant.